With a mosaic tile floor that has been around for at least 80 years, it’s hard to fathom that Metropole has been delighting diners for only three. 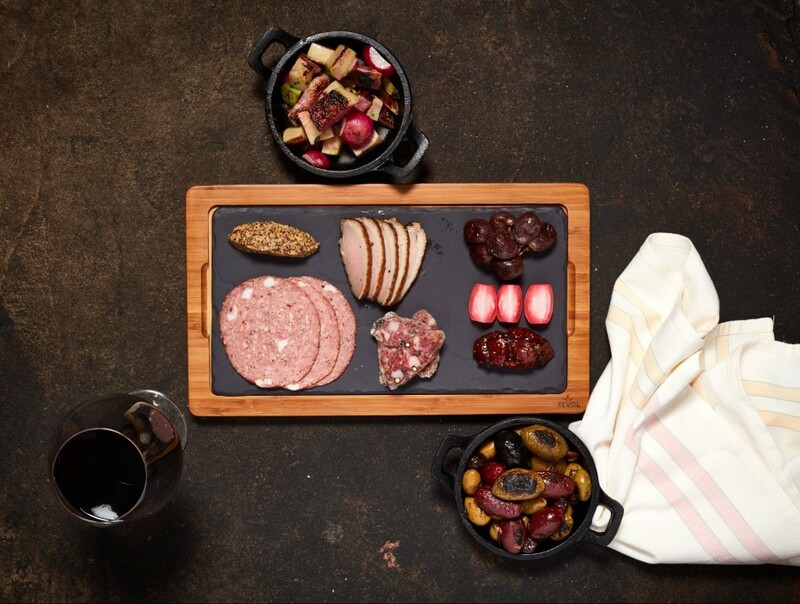 We’re enchanted by their shameless extra effort—the housemade condiments, the gout-worthy charcuterie, the innovative-yet-delectable shrub pops served in the summertime. They’ve boggled us by nailing cruise control while bypassing the banality of coasting. If that isn’t the meaning of life, what is? Which is why it comes as no surprise that chef changes haven’t fazed this kitchen. When Michael Paley departed in fall 2014, former sous chef Jared Bennett quietly assumed command, intuitively building on Paley’s robust foundation and keeping the young staff intent on consistent results and a core ethos of creative seasonality. And he’s put his own stamp on the menu. 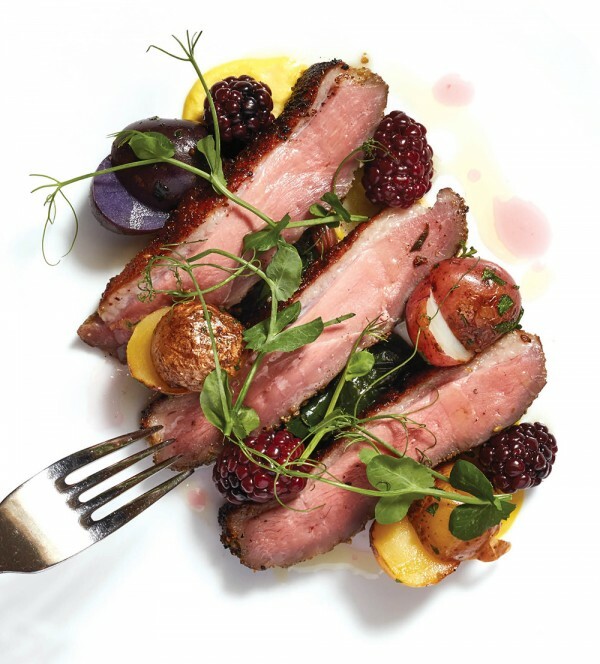 His plancha-seared duck breast with marble potatoes and blackberry compote has a robust, multi-layered sweetness. Grilled duck breast with marble potatoes and blackberry compote at Metropole. And the mushroom rotolo—a vertically wound baked pasta, studded with goat cheese and parmesan, pork belly, and salsa verde—soars with umami richness. But we’d be remiss not to mention that mere steps away, one can order some of the most innovative cocktails in town. Don’t miss Sir Isaac’s Downfall, a bracing mashup of rye whiskey and applejack. And while we’d love to see a bit more local beer on tap, the bourbon list is long enough to necessitate a serious squint.